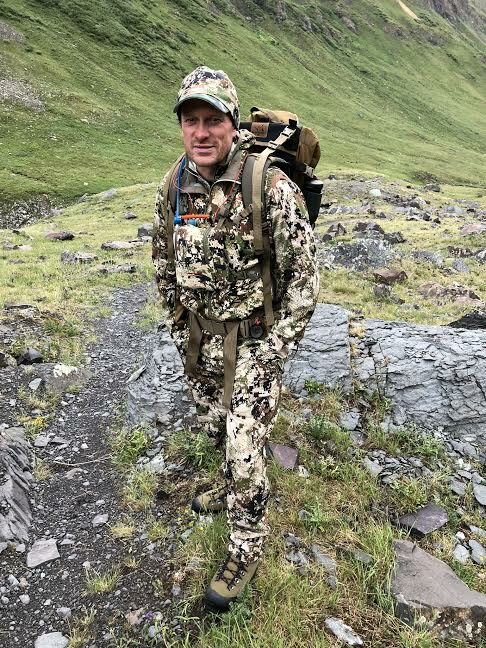 As the seasons go by, my hunting gear continues to evolve. 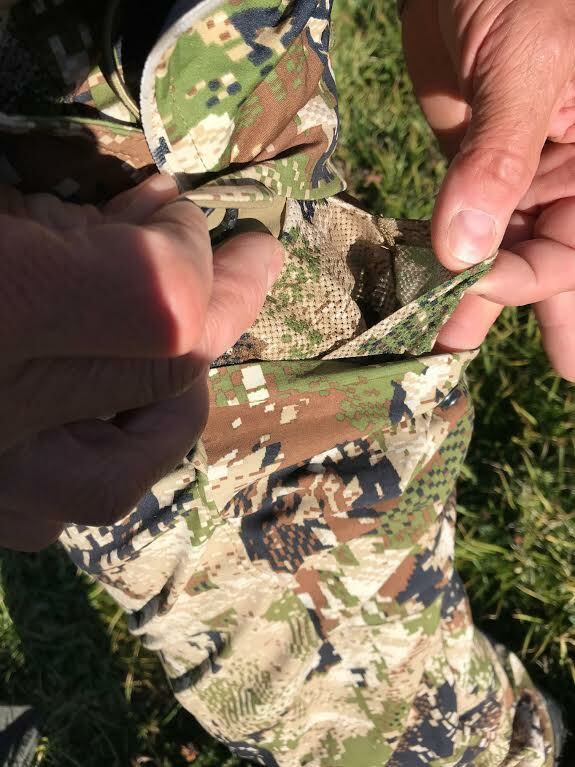 It might be a new piece of glass in my optics system or a new sleeping pad in my sleep system. 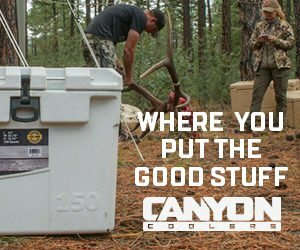 Improved gear continues to hit the market every year. To some extent, the clothing seems to be taking the biggest leaps of all the gear. New blends, new materials, new designs—all of them to help make me a better, more efficient and effective hunter. 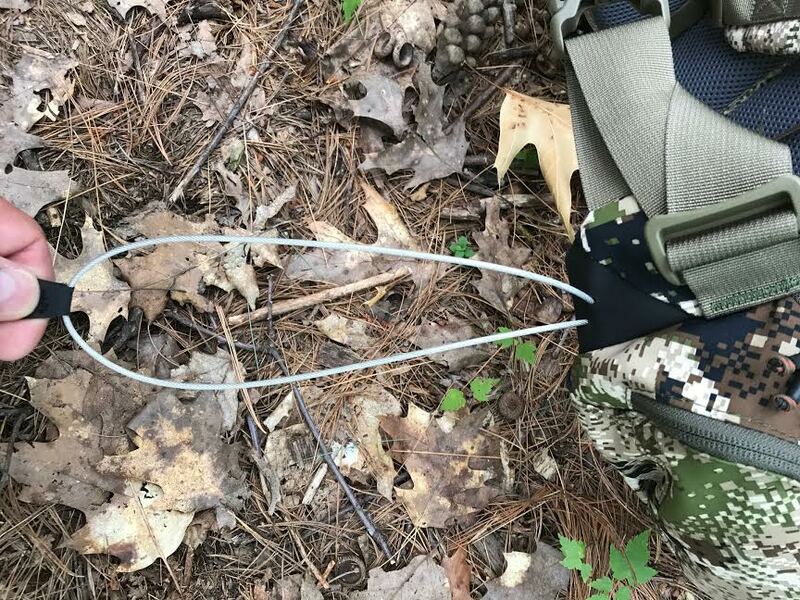 This spring Sitka released their new Apex system line. It includes the Apex pant, Apex Hoody and Apex pack. I was asked to take a look at them and give my opinion for Rokslide, and I was happy to give them a go. The Apex products are built with a very clear and specific purpose. 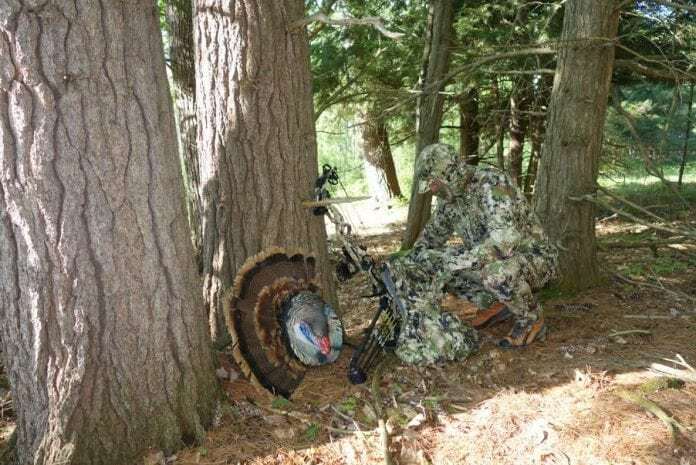 They are designed to be ultra-quiet and provide functionality to the hunter using spot-and-stalk as their style of hunt. I will break down the features of each product and give my take on those features. 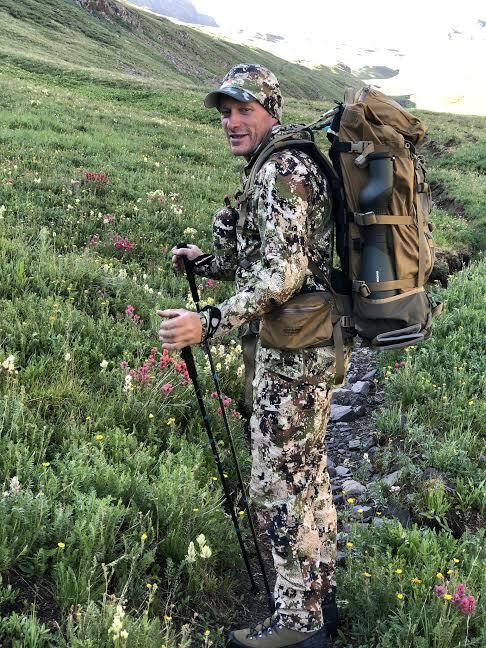 The Apex pant has a weather resistant and quiet polyester exterior face that is bonded to a very soft micro fleece interior that provides breathability and warmth when needed. When I picked them up and felt the “quilted” fleece interior, my first thought was this would be a warmer mid-season type pant. Now that I have used them in temps ranging from the low 20s to the high 80s, I can say that they are more than just a mid-season pant. They breathe as well as Sitka claims and I stayed comfortable in that temperature range. I used a light merino base layer under them on the cool nights/days and I was plenty warm. The fit of the pant is designed to help us out on stalks as well. The lower leg is slim and has just enough material to ride over your boot but no excess that could snag on brush and create unwanted noise. The Apex pant has what Sitka calls a Performance fit, basically an athletic cut. I would say they fit much like the redesigned Sitka Mountain pant. Weight and feel is somewhere between the Mountain pant and new Ascent pant. The pocket layout is streamlined as well. The two thigh pockets do not protrude out from the pant, keeping with the theme of less to snag up on a stalk. 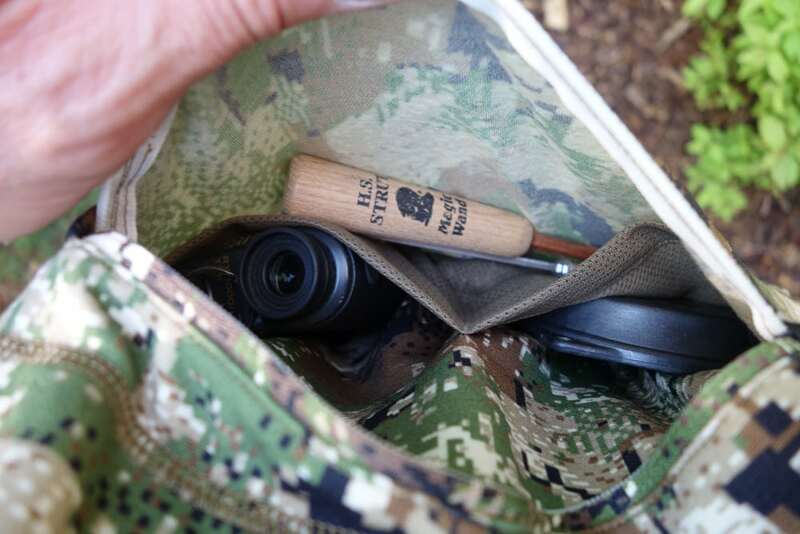 There are dividers in each side pocket that provide a way to keep your small items organized on the stalk as well. 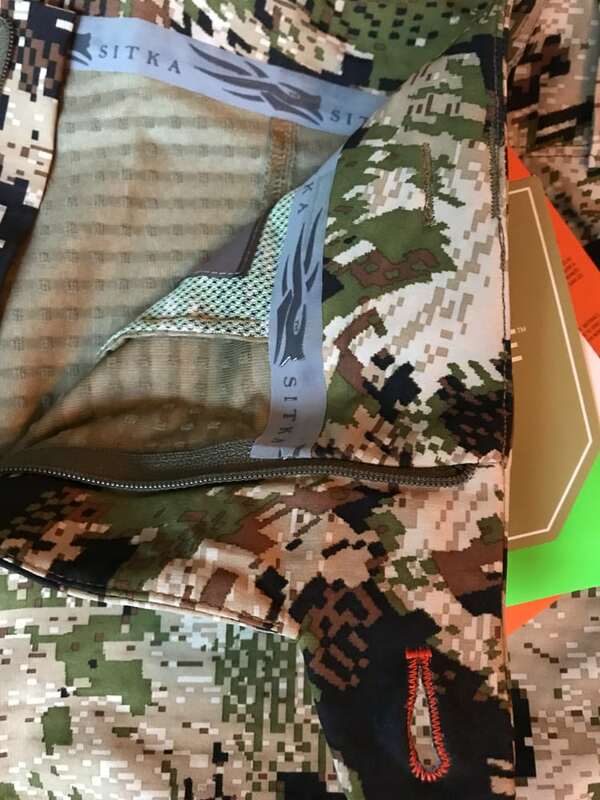 They come with the removable knee pads that Sitka is known for. The total weight of my size 34” regular pant with knee pads is 14.7 ounces. The Sitka website has them listed much higher and it is clearly a typo. 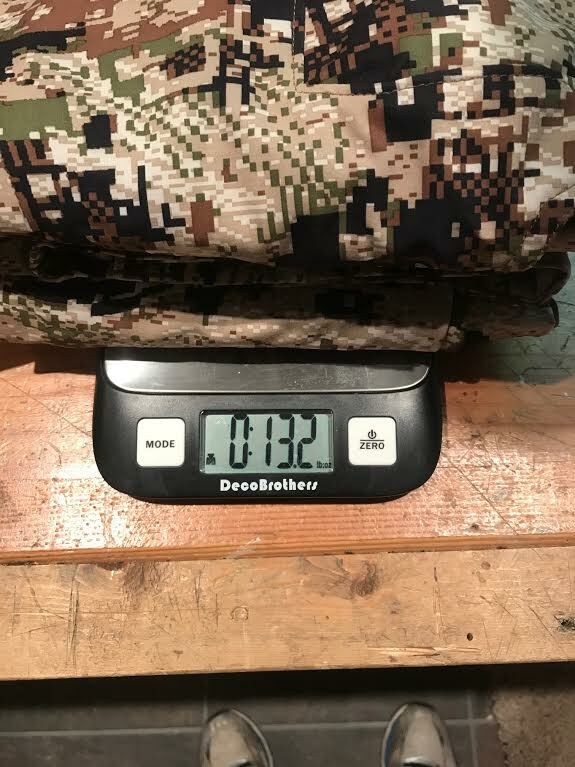 Without the knee pads, the pants weigh 13.2 ounces. The pants retail for $209.00. The Apex Hoody has a unique blend of merino wool and nylon that is a brand new fabric for Sitka. 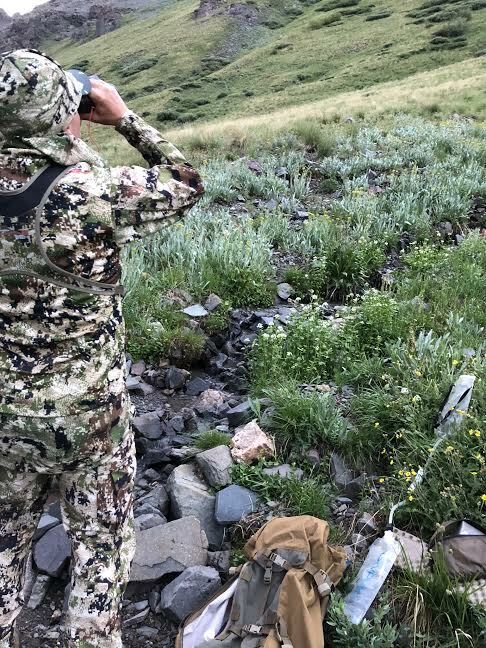 The mid weight merino backing provides the anti-smell /anti-microbial that we all appreciate and the nylon facing provides durability and noise reduction we want in a stalking shirt. The shoulders and arms are reinforced with a 4-way stretch polyester that gives more durability and a DWR finish. The shoulder and arm area have the same quilted interior of the pants and feels nice under back pack straps. I really like the weight and feel of the hoody. I used a light weight merino layer under it and stayed plenty comfortable. It could be used without a base layer but I prefer to have my closest layer to my skin be very light weight. 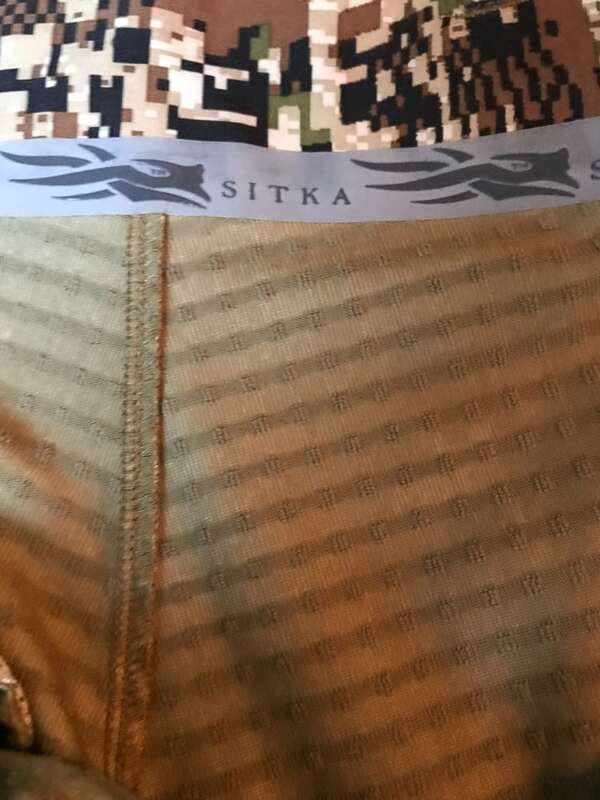 The hoody is what Sitka calls their Standard fit, meaning it’s not cut super tight and is designed to be layered underneath. The hood is slim cut and includes a built in face mask. I love the idea of a hood but for me this hood fits tighter than I would like. It has the fit and feel of the Core Lightweight Hoody, very form fitting. 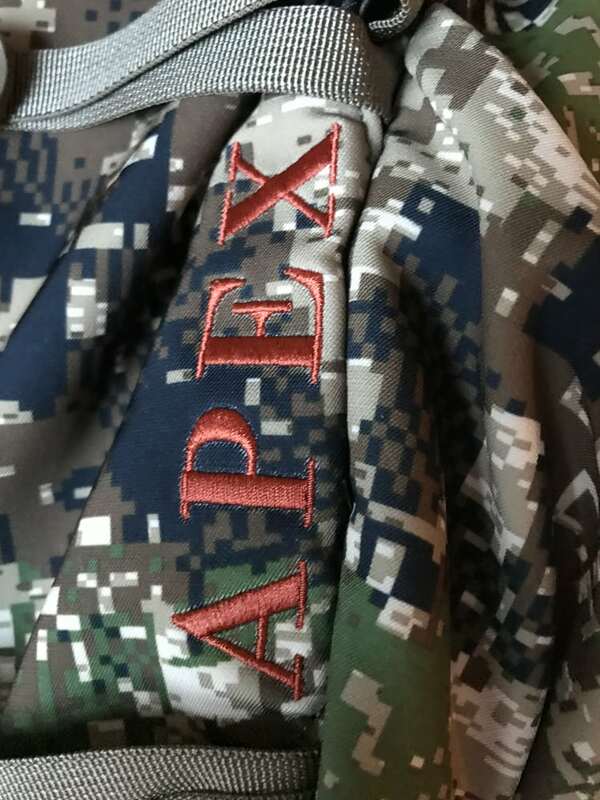 Being that the Apex Hoody is more of a mid-weight item, I would have liked to see a hood that was similar to the Core Heavyweight Hoody, just a bit roomier and not as tight. Regardless of what I prefer, the streamlined hood fits the spot and stalk specific theme. 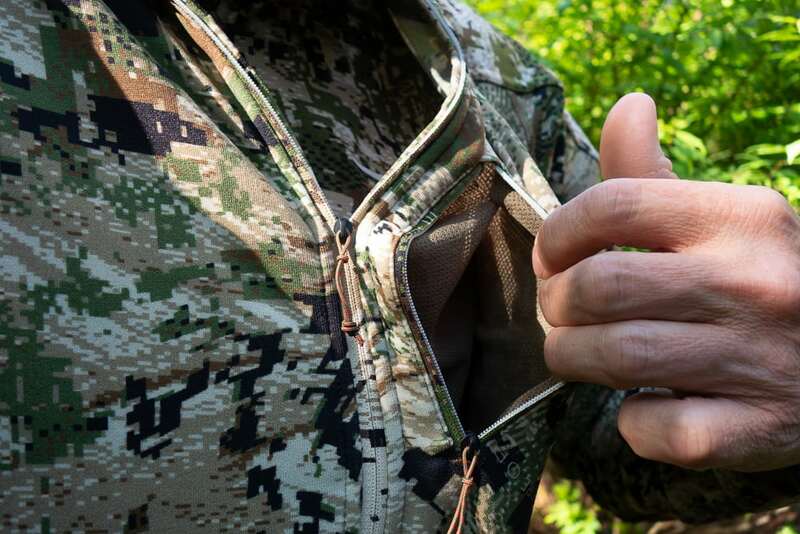 The Hoody features another first for Sitka, removable elbow pads. These feel much better than I anticipated and after a while, I forgot they were there. I was able to draw my bow without noticing them. I will have them in on my archery deer hunts this fall. I can see this being a feature I appreciate more and more every time I am crawling on a stalk. 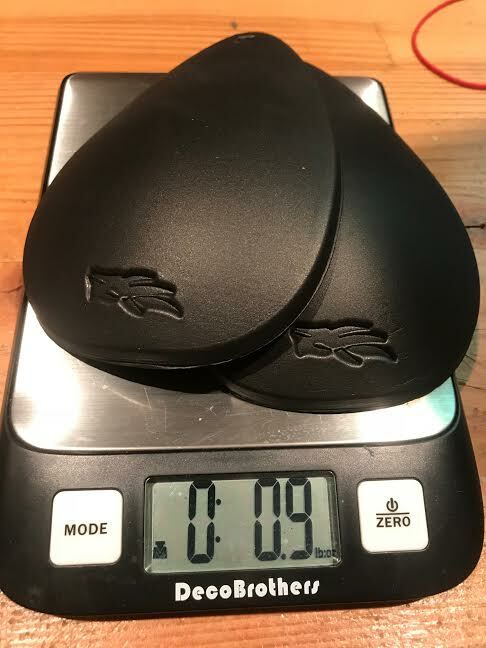 They only weigh 0.9 ounces. My large hoody weighs in at 16 ounces with the elbow pads. The hoody has a chest zip pocket and a large “kangaroo” style zip that is low enough it did not interfere with my bino harness. The interior of the kangaroo pouch has dividers for keeping small items at the ready during a stalk. I see plenty of uses for this pocket as long as you don’t put heavy items in there. The shirt would sag if the pocket was overloaded. The Hoody retails for $219.00. 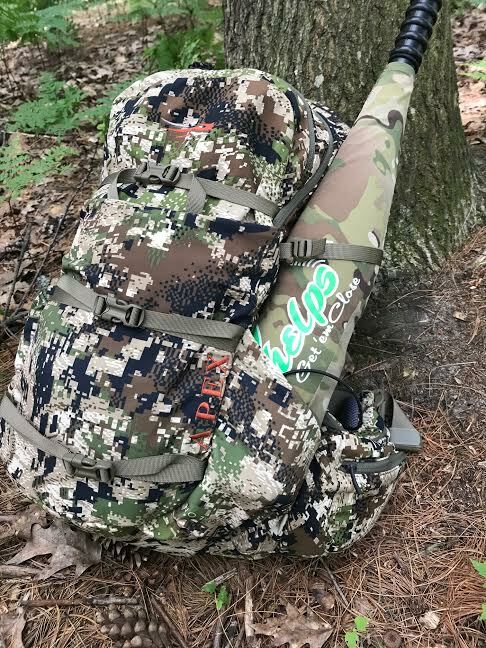 The Apex pack is a frameless pack that sticks to the Apex system theme of streamlined stealth. 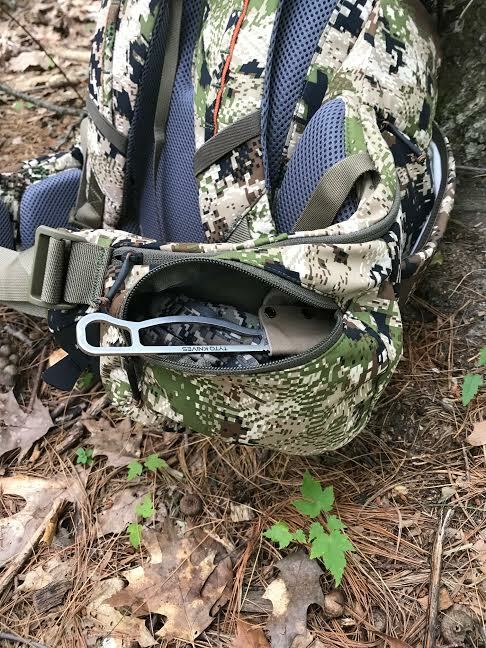 It is 1800ci, includes a waist belt and is designed for light and fast day hunts. This is not a meat packing type bag so if you need your day hunt pack to be able to haul meat out, look elsewhere. 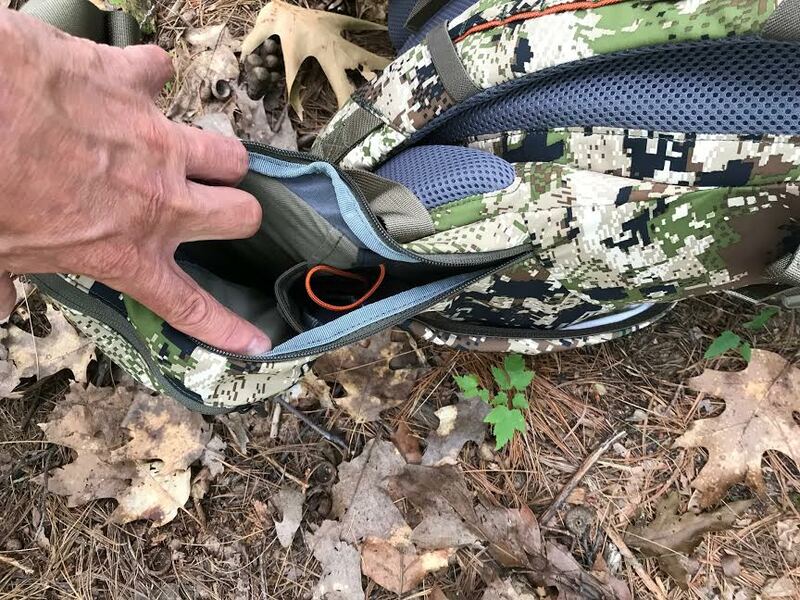 If you know you won’t need to haul meat and just want a pack to carry a days’ worth of gear, this little pack has some cool features. There are pockets in the waist belt and an interior zippered pocket in the main compartment. There are exterior side sleeves that would work well for a bugle tube and a large rear exterior sleeve at the back of the bag. Three compression straps keep everything synched together. It also has a water bladder sleeve inside. 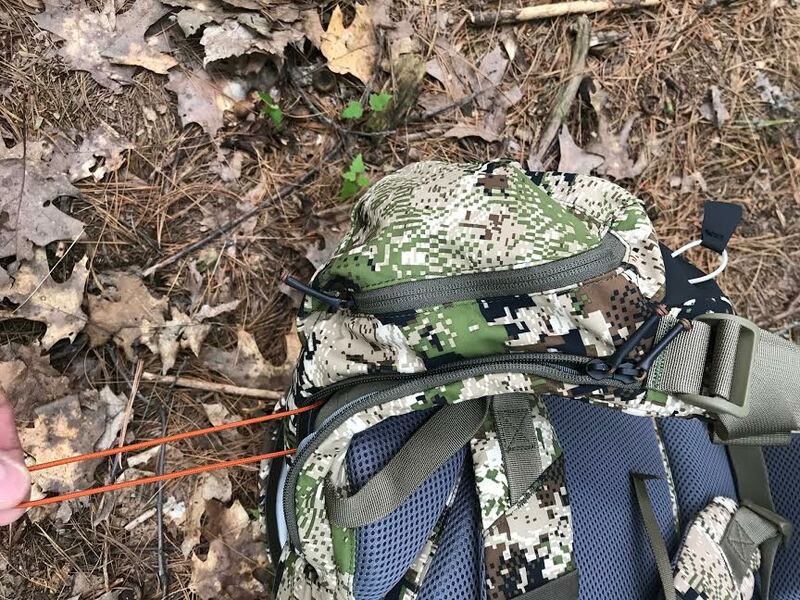 A cool little feature the bag has is a deployable cable from both sides of the waist belt that are to help hold up a bow by supporting the cam. These would come in handy when waiting on an elk you are calling in or waiting for a buck to get out of his bed. They retract back in the waist belt when not needed. For me the Apex pants are going to see a lot of use this fall. They are light weight and fit great, cool when I get warm and surprisingly also warm when it’s cool! 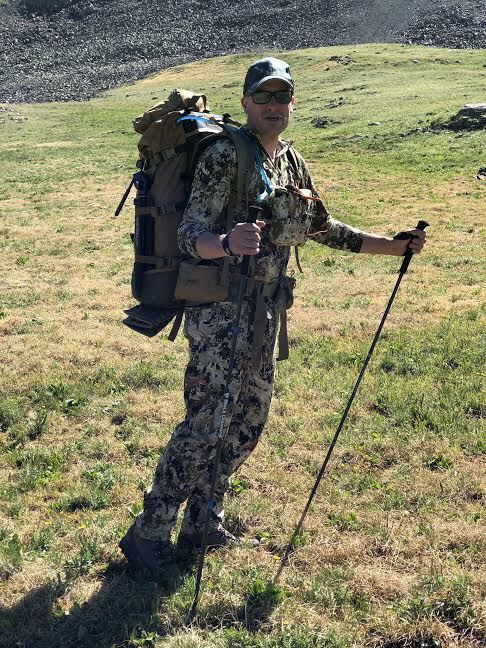 I like the pocket lay out and the tapered legs for stalking, they will see plenty of time doing what they are designed for. 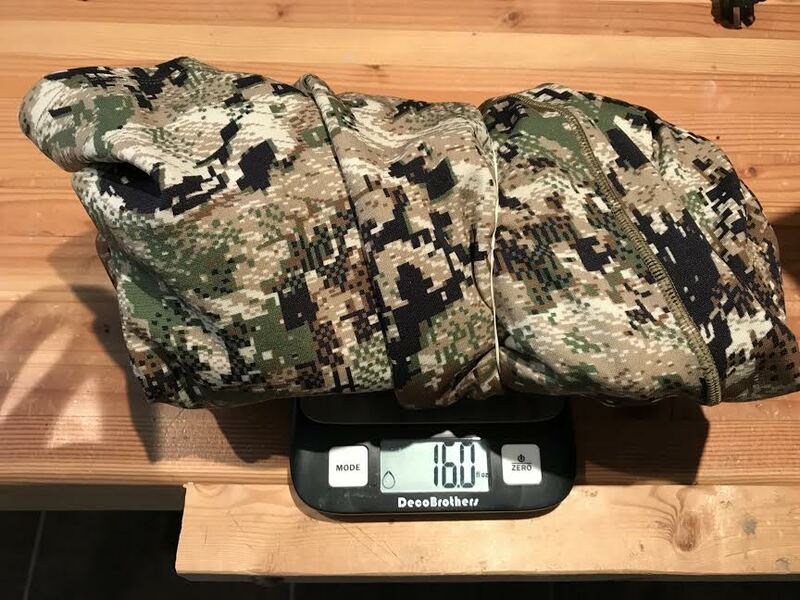 The Hoody is going to be an excellent mid weight layer for me on my early hunts as well. The new merino/nylon blend is a welcome feature for me and I like the functionality of the pocket lay out. Best of all, they are both silent! 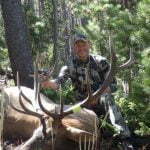 I will do an update during one of my early hunts to let you know how they are holding up. You can follow along and leave comments or ask questions here.